Blackberry season is here! 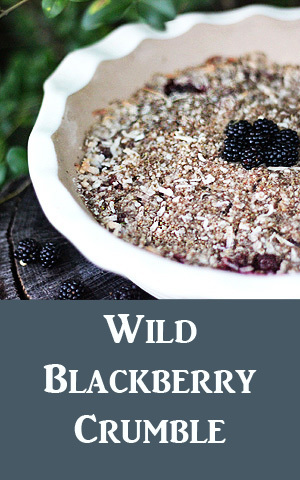 We have a boatload of berries in our back yard right now and I made the first wild blackberry recipe of the season last week. This blackberry crumble isn’t low in calories, but when is the last time you got protein, fiber, and iron out of your dessert? You can thank the flax seed for that. Use Xylitol instead of sugar to further reduce calories and make the recipe diabetic-friendly. Substituting rice flour makes the dish gluten-free. It’s a treat everyone can enjoy! 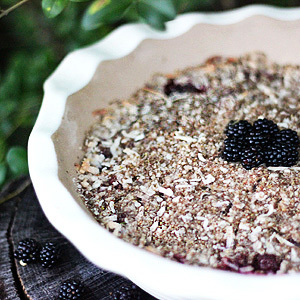 Blackberry crumble that can be made gluten-free and sugar-free! Mix together 3T of the sugar with the cinnamon then combine with fresh blackberries. Pour into baking dish and set aside. 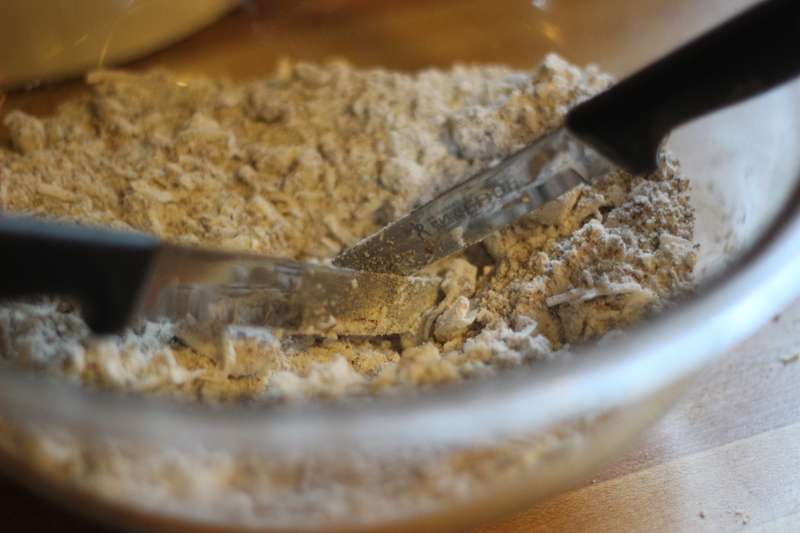 In a separate bowl combine flour, ground flax seed, sugar, and coconut. Cut in butter until mixture is crumbly. Uncover and continue baking until topping is golden. *You can either purchase milled flax seed to use or easily grind whole flax seeds in a coffee grinder to achieve a similar result.